Liberty Athletics will hold a press conference on Wednesday during which Director of Athletics Jeff Barber will announce Liberty’s next head men’s basketball coach. The press conference will be held in the Club Pavilion of the Williams Stadium Tower (third floor) and will begin at 1 p.m. 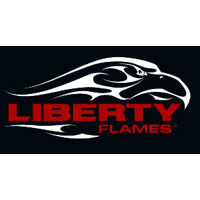 The event is free and open to the general public and will be streamed live on LibertyFlames.com.